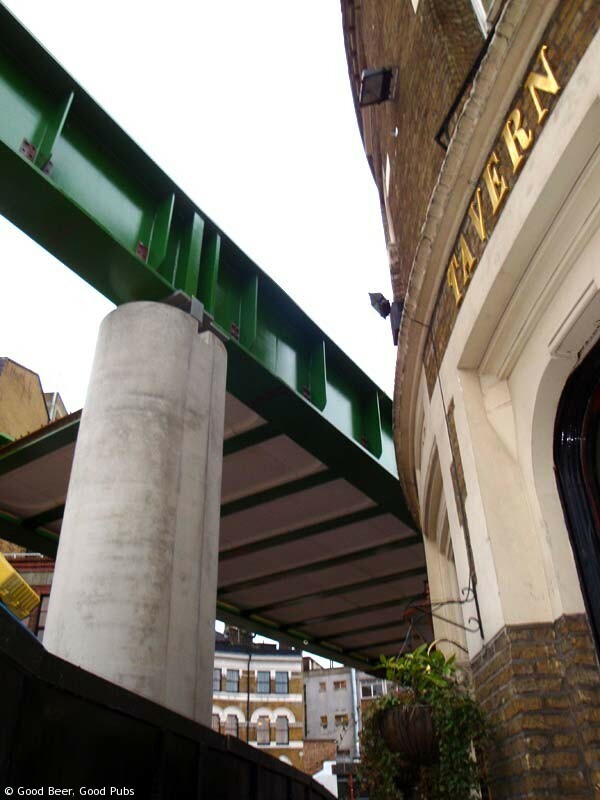 The new Thameslink bridge is progressing noticeably over Borough Market these days. So I thought I’d share these two pub-related pics with you. 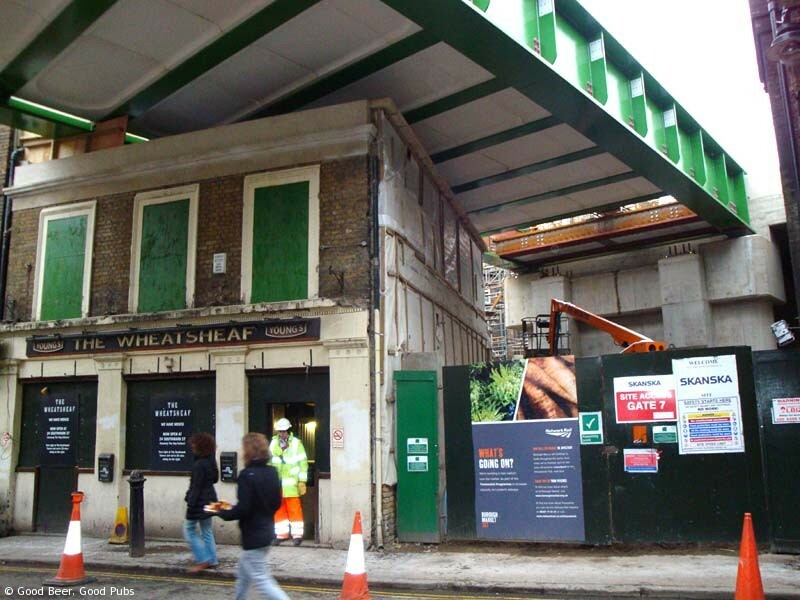 The first photo shows the Old Wheatsheaf in Stoney Street with the new railway bridge scything through what used to be the top two floors. I got close to the old pub when I took this and you can still see the old wooden panelling hidden behind some protective surfaces. The space top the right of the pub will apparently become a courtyard garden for the pub when it reopens at some point in the future. The second photo features the nearby Globe Tavern right next to the new railway. When the train line is operational it will be possible to reach out the upper floors and touch the trains – it’s that close.